I’m trying out something different today. As my reviews of the seasons of Classic Doctor Who seem to have been fairly well received—at least on Reddit.com, where I’ve cross-posted them, and possibly here on the blog as well—I want to do an occasional series of reviews of Big Finish’s Doctor Who audio dramas, as well. I say occasional, because I’ll most likely be irregular in obtaining the audios and listening to them; unlike the classic television series, I can’t (and wouldn’t want to) get them for free. Big Finish is a relatively small company (though their output is prodigious), and I fully approve of what they’re doing, and therefore I’m perfectly fine with paying their asking price. On the other hand, I’ll be buying them just as I can afford to do so, which is irregularly. As a consequence, I expect I’ll be obtaining them in no particular order, just based on what interests me. With various ranges to explore, establishing an “order” for these audios is a bit insane anyway. I loosely intend to follow the “main range” of Doctor Who stories, but I’ll insert others as they catch my attention. 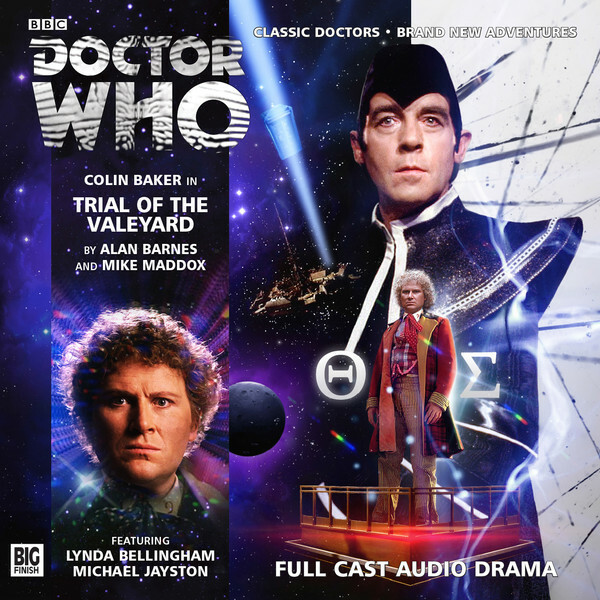 To that end, and following my review of (television) season 23’s Trial of a Time Lord, I’ve started with the audio sequel, Trial of the Valeyard, which I’m covering today. I haven’t yet decided on a particular format for these reviews. For my television reviews, I’ve covered each serial of the season in order, and discussed the setting (place and time), the protagonists (which Doctor and which companions), antagonists (including discussion of previous appearances), a short plot summary in most cases, connections and similarities to other television stories (past and future), and my likes and dislikes. Some of that will carry over to the audios, I’m sure. As resources, I’ll have the television series, Big Finish’s site with its summaries of the audios, and the TARDIS wiki; the books I’ve used for reference for the television series mostly predate the audios, and won’t be of much use here, but I may refer back occasionally for some clarification. When it comes to connections with other events in the series, I’ll probably have to refer mostly to the television series, at least at first; I don’t know enough yet about the audios or novels to make those connections. If this series works out well enough, I may eventually expand to cover some of the novels as well. The Valeyard, once the Doctor’s prosecutor, now makes an outrageous demand: He wants the Doctor to be his defense. It seems preposterous at first, but it makes sense; the Doctor, being given over to justice, will see the trial prosecuted as fairly as possible. If the Valeyard is innocent, it works in his favor; if not, at least the truth will come out. The Doctor is enticed, because at the least, he wants to preserve the Valeyard’s life; only the Valeyard can shed light on his own origin, which is a fate that the Doctor is keen to avoid. The Valeyard goes on to force discussion of his origins as much as possible. He states that at a point in the Doctor’s personal future, the Thirteenth Doctor, having gone mad, will experiment on himself to extend his life and regenerations. The result is the Valeyard. The planet they are now orbiting has a moon, on which the experiments took place, in proximity to a door into the Matrix; this is where the Valeyard was allegedly discovered as a child, and where, just before the trial, he was arrested. The moon, however, has subsequently been destroyed by the Time Lords, for classified reasons. The Valeyard says he was there in search of those secrets, as he himself cannot regenerate any more without intervention. He further says that as a child he was sent to a hidden Shadow House, where Time Lords suffering from failed regenerations are hidden away. He claims—heretically, to the Time Lords—that Rassilon imposed the twelve-regeneration limit. Now found guilty, he is sentenced to immediate execution, and the sentence is carried out. Leaving the trial, the Doctor forces his way into the moon’s displaced timeline using his TARDIS, and heads down to the surface. There, he finds things to be much as the Valeyard had said. He finds a mad old hermit, whom he quickly deduces to be his own final incarnation; and with the hermit, he finds a sealed box that is keyed only to his biodata. The Inquisitor and other Time Lords arrive to claim the box; it is revealed that they want the secrets of immortality supposedly hidden inside, but that the Valeyard refused to open it. The Doctor deduces that the box contains a bomb, and that the alleged Thirteenth Doctor is the Valeyard in disguise; he escaped the execution by turning the machinery into a matrix door. This entire plot, it seems, has been a revenge scheme on his part. He triggers the bomb on a short delay, and escapes back into the Matrix; the Doctor and the Inquisitor escape in the TARDIS, and return to the courtroom. The Doctor posits that it is impossible to know which parts of the Valeyard’s stories were truth, and that he will try again; and further, that the Valeyard had help from within the Council. The Inquisitor promises a full judicial inquiry. All in all, not a bad introduction to the world of the audio dramas. I enjoyed it; and I’m looking forward to more. Next time: if I stick with my current plan, we’ll be covering The Sirens of Time, the first audio in Big Finish’s main range, with the Fifth, Sixth, and Seventh Doctors. See you there! All audios reviewed in this series may be purchased here from Big Finish; link to this story is below.